Something Delightful : Lilly Pulitzer Goodies From Lifeguard Press! Lilly Pulitzer Goodies From Lifeguard Press! If you are in need of any Lilly Pulitzer goodies (iPhone cases, sunglass straps, koozies, planners, tumblers, etc. ), Lifeguard Press is here with all the items you may be looking for. Lifeguard press has it all! 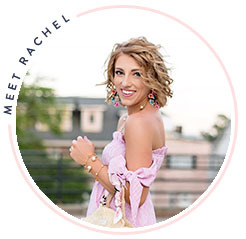 You will certainly be able to find a gift for a friend, find the necessities you may need to prepare you for the summer, or if you're just browsing, a Lilly item will surely catch your attention. Being a huge fan of Lifeguard Press, I was beyond thrilled when I received a fresh pair of Sunglass Straps and a Koozie both in the Lilly Pulitzer Chin Chin print. With a skort in Chin Chin hanging in my closet, I just couldn't wait to pair all of these fun Chin Chin items together. Whatever Lilly print you may be in search of, Lifeguard Press has a wide selection to choose from. 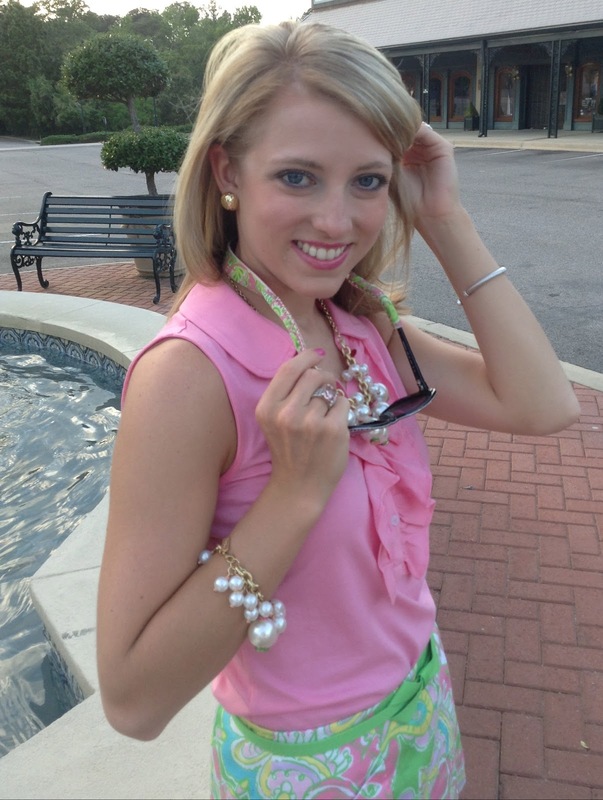 The Lilly Pulitzer Sorority collection is also available at Lifeguard Press. 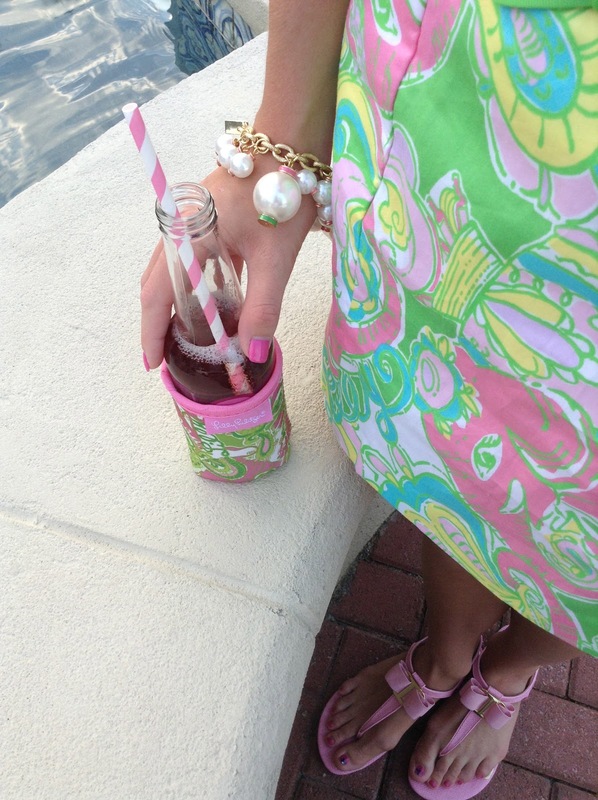 Love that Lilly print! You look adorable! I love Chin Chin! It is one of my favorite prints. I also love your Lilly Pulitzer skort. Really cute on you! I wear those Lilly P skorts when I go golfing and love them for being perfect for on the driving range or in the club house. Lifeguard Press is the best! 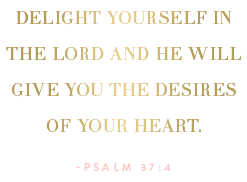 I love all of the different Lilly items that they carry. 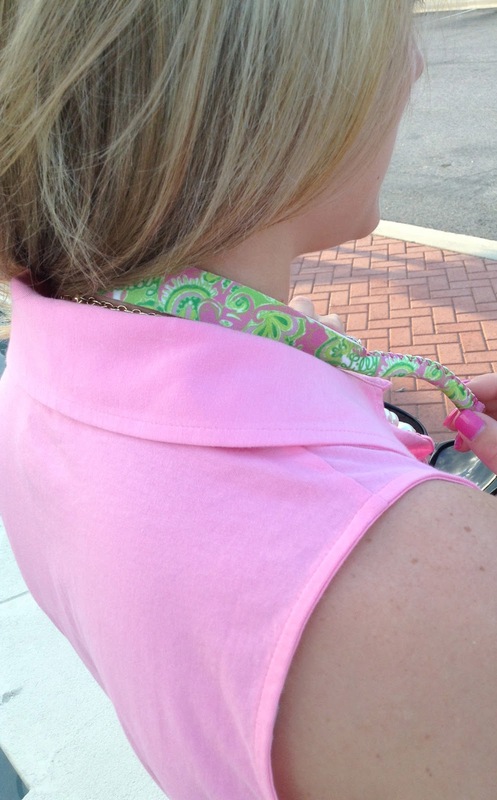 Your new sunglasses straps and koozie look adorable with your skort! I am obsessed with the Chin Chin print! One of my favorite Lilly prints ever! 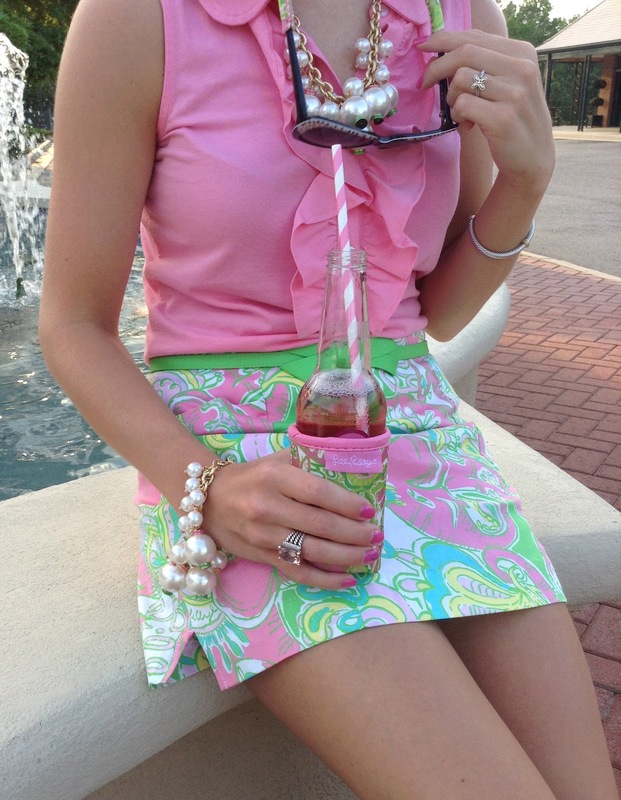 I have the koozie and it is definitely my favorite in my Lilly koozie collection. I got the skort for my birthday a couple weeks ago. It looks absolutely darling on you which makes me even more excited to wear mine! Rachel this is so fun! You know from my IG that you should be making a coaster outta Chin Chin to match!!!! Lol!